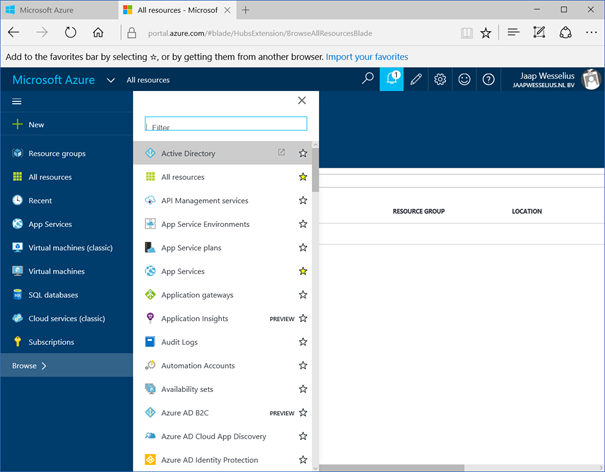 To enable the self-service password reset functionality you need an Azure AD Basic or Azure AD Premium subscription. 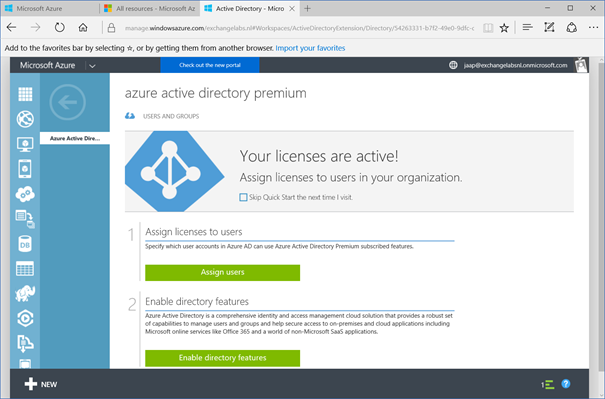 An overview of Azure AD options is available on the Azure Active Directory Pricing page. If you have a free edition of Azure Active Directory (default with every Office 365 tenant) you have to upgrade to at least Azure Active Directory basic. To upgrade, you need to have an Azure Subscription. 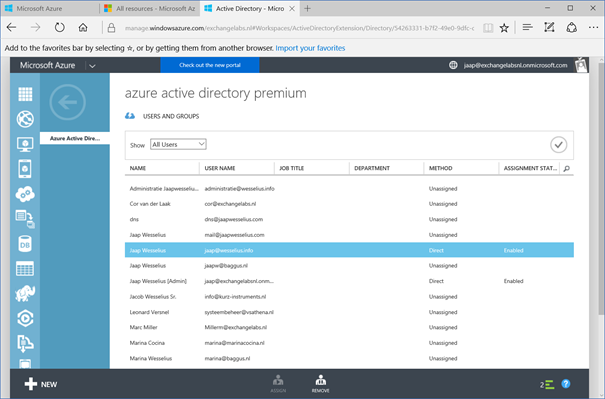 You can get an Azure subscription using your Office 365 tenant administrator to make sure the default Azure AD in your Azure subscription matches your Office 365 tenant. 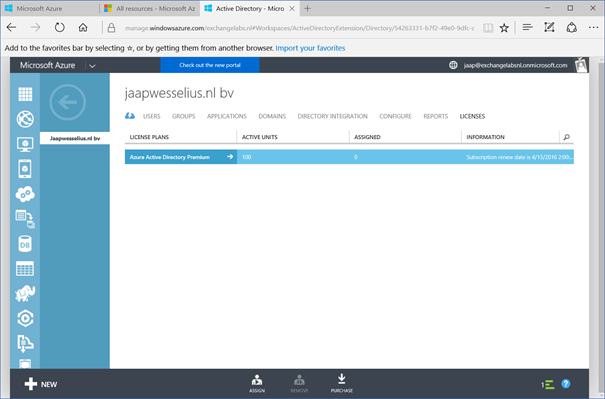 I’ve blogged about this before in the Manage Azure Active Directory in the Azure Portal blogpost. Wait a minute or two and click the Click here to refresh option. The next step is to assign users to Azure Active Directory premium. In the trial, you can assign 100 users to Azure AD Premium. In a production environment you have to pay per user, so be careful when assigning licenses. 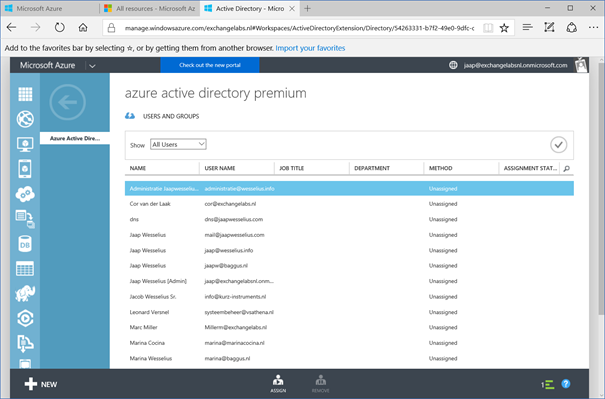 In the Azure management portal, click Azure Active Directory Premium and click Assign users. In this blogpost I discussed the prerequisites for Office 365 password writeback, enabling Azure Active Directory Premium. In trial environment you have Azure AD Premium for 100 seats, but after the trial you have to pay on a per-user basis so you might want to be selective in enabling certain features. In the next blog post I’ll discuss how to setup Self Service Password Reset (SSRP).